Assistant Professor of Music and Director of the Center for Musical Excellence at Salem College Dr. Thomas Swenson will teach music on the high seas later this year an instructor in Crystal Cruises Creative Learning Institute. Dr. Swenson will teach the “Passport to Music” class, which is a partnership between Yamaha and Crystal Cruises. The course, which is an introduction to keyboard playing for adults, features an emphasis on hands-on learning using portable keyboards supported by the Clavinova digital piano. The course is designed for those with little or no previous keyboard experience and includes an overview of general musical skills, including listening skills and note reading. The course will be offered on the Dec. 9-21, 2013, cruise from Barcelona, Spain, to Miami, Florida. In addition to teaching a variety of music performance and music history courses at Salem, Dr. Swenson manages community music course offerings as director of the Center for Musical Excellence at Salem College. 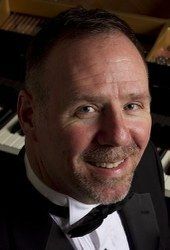 An accomplished musician and composer, Dr. Swenson has distinguished himself as a national leader in the field of piano pedagogy. His dissertation focused on the specific traits of adult piano students and a book based on the dissertation, Not Just Big Kids! Motivations, Preferences, Backgrounds and Attitudes of Adult Piano Students, is an important resource for piano teachers of adult students.